I always had a general interest in technology from a young age through games. When I was 15, Apple had just switched to Intel and I got very interested in Mac. I created my first Hackintosh and later purchased a Mac Pro with my savings. The Mac Pro was a beast, but I wanted to run games like World of Warcraft on higher quality settings, so I got involved in making the Mac Pro achieving better graphics performance. I developed my first app, Zeus Flashing Tool, which could convert the latest PC graphics cards to become Mac compatible. I continued to make apps to enhance Mac computers, got a Computer Science degree, and started my company. The Mac Pro, obviously. It was the ultimate enthusiast Mac computer, and perfect for tinkering around with and learning about Mac hardware and OS X. My latest product is called Command Center, it’s a utility for controlling and monitoring your Mac. It’s heavily inspired by Control Center on iOS, with controls for WiFi, Bluetooth and Music, but also features advanced system monitoring and things like Night Mode (automatic screen gamma adjustment), hide desktop icons, etc. 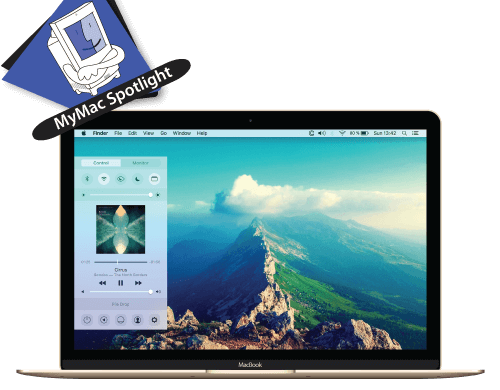 It’s basically the ultimate utility app that enhances the Mac experience. I’ve had side jobs during my studies like shop sales and iOS consulting. I didn’t really enjoy any of it, but made me realize the importance of pursuing higher studies and working hard to get a job I would enjoy. Don’t waste your time doing hobby projects just because you know you can do it. Focus your energy on products, solutions or services that benefits others and creates value. I guess I was inspired by Steve Jobs growing up but nowadays I get all my inspiration from Elon Musk. I think he embodies the spirit of good entrepreneurship.